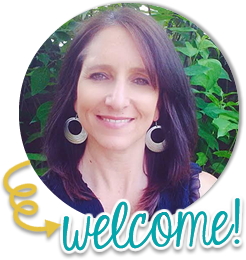 Every year, after winter break, I begin emphasizing reading fluency with my students. It's the perfect time. We've learned a lot of fundamentals and decoding strategies, my students are off and reading, increasing their abilities and reading levels, and now it's time to focus on fluency. It's also a great time to renew their interest in reading and get the new year / 2nd semester off to a good start. Each student gets a reward card. Once a week, they have the opportunity to earn a punch. When they have five punches, they earn a reward. 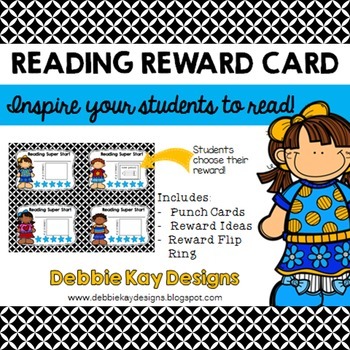 These Reward Cards can be used for any reading incentive you want to offer (reading minutes or a certain number of books, for example). I made them pretty generic so that any teacher can use them for any reading incentive you choose. In my class, I will punch their card if they read to me fluently. I send home "baggie books" with my students containing books at their level. I expect students to practice them for homework each night and also during Read to Self (Daily 5). Once a week, I check in with each student and listen to them read one of their books. It's always obvious which students have practiced, and which ones have not. If I hear an improvement in fluency (accuracy, pacing, expression), they earn a punch. It's simple, you practice reading, you earn a reward! 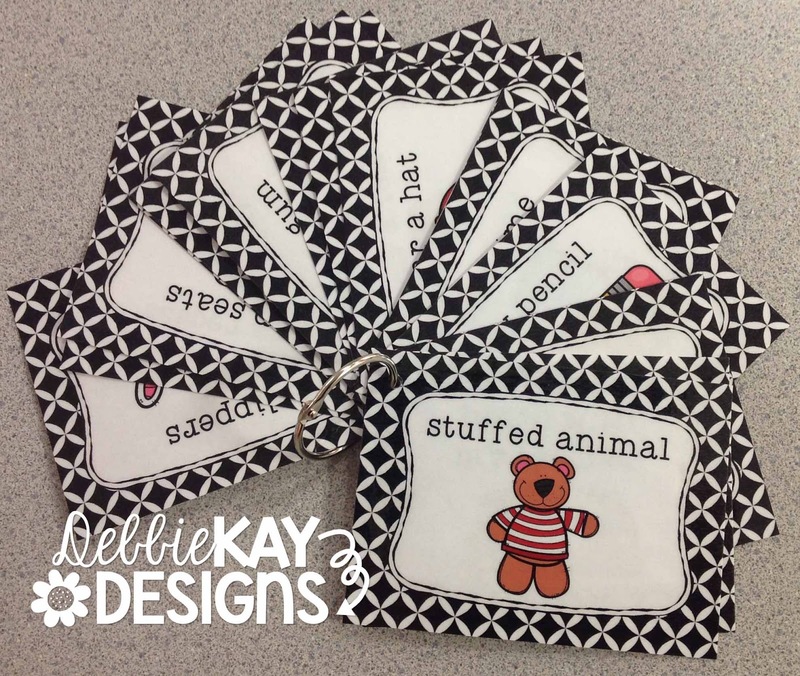 Because I have had so much success the last 4 years using this incentive, I created a packet for TPT to be able to share it with other teachers. I hope it can help you, too. When a student receives their Reading Reward Card, they choose a reward to work towards. There are 15 different rewards to choose from. 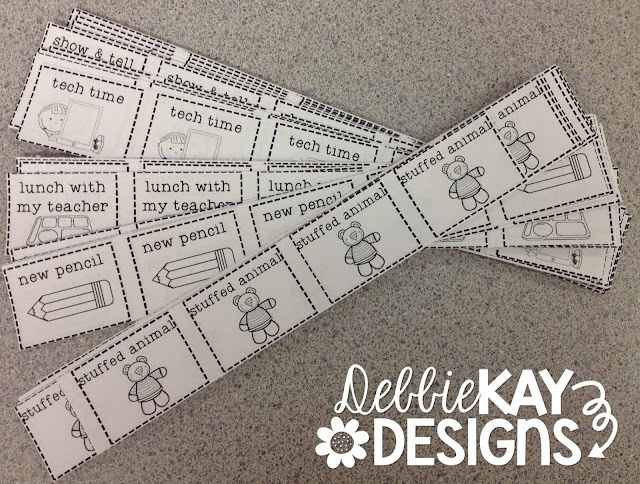 I also included a blank card so that teachers could write in their own reward ideas. Students glue the reward they choose onto the front of their card. This provides a visual for students and their parents so that they know what they are working for. I provided Reward Flip Ring cards, too. 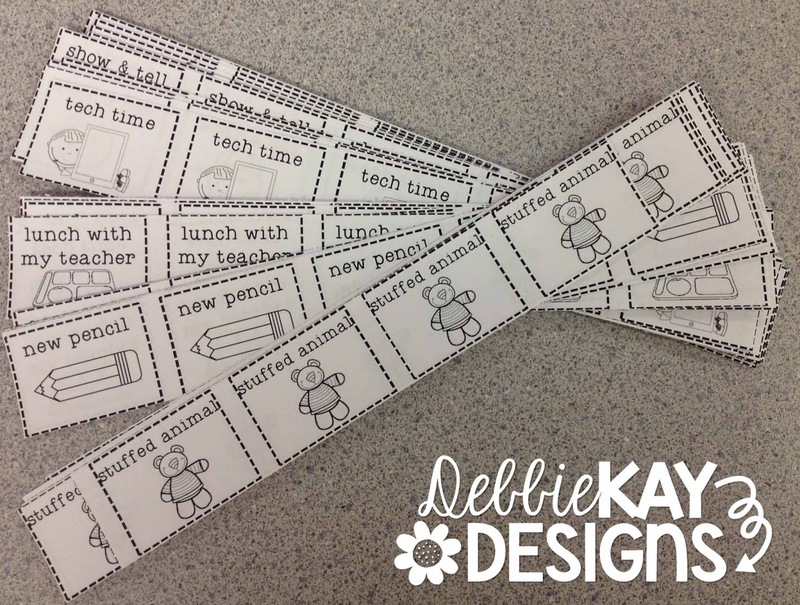 Just print and laminate them, and use them for your students to flip through, get them pumped up about earning a fun reward, and make a choice. 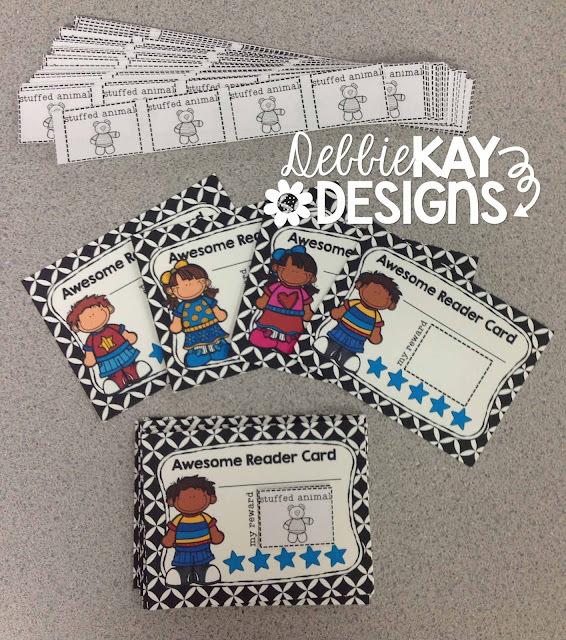 I included 5 different titles for the reward cards, just to offer a little variety for teachers. My kids are WAY excited about earning a reward. They have had them for 2 weeks now, and the difference in their reading is INCREDIBLE!! 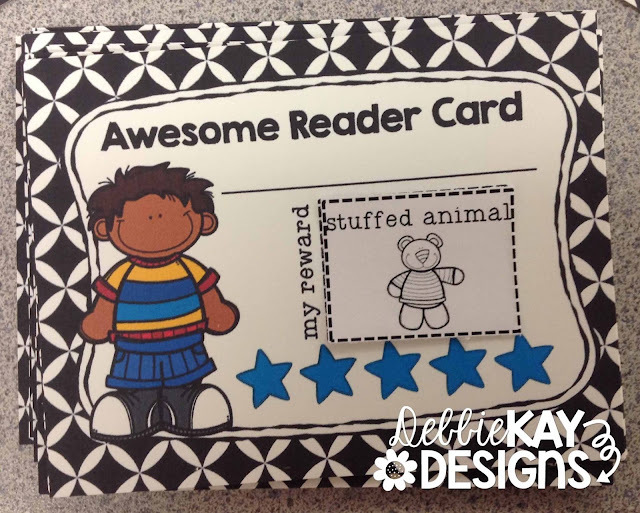 To check out my Reading Reward Cards, click here!